Snapdragon 845 enables streaming to multiple Bluetooth devices | What Hi-Fi? Qualcomm’s Snapdragon 845 also introduces audio enhancements, the most interesting of which is its Broadcast Audio technology. This allows a single device to simultaneously stream music to numerous Bluetooth headphones or speakers with “near perfect” synchronisation. This should be music to the ears of anyone after a quick and easy way to share music from one smartphone or tablet. Or, indeed, those interested in running their own silent disco or group audio tour. Purveyors of networked multi-room systems may be less than thrilled with Qualcomm's latest feature, mind. In addition to the Snapdragon 845 mobile platform, Qualcomm’s Broadcast Audio is also available on a range of the company's Bluetooth audio chips, including the CSR8670, CSR8675 and CSRA68100, as well as the QCC5100 chipset designed for true wireless earbuds. Speaking of which, Qualcomm has also today announced its new-and-improved TrueWireless Stereo technology, which the QCC5100 chip supports. It’s designed to help reduce power consumption (by up to 65 per cent) for music streaming and voice calling compared to the previous generation. 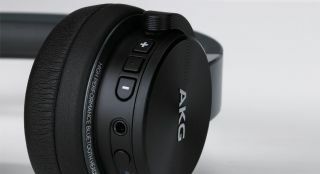 One of the technology’s features is Qualcomm TrueWireless Stereo Plus, which simultaneously connects a smartphone to both ear buds so that only relevant content is relayed, which Qualcomm says improves robustness and more evenly balances power consumption. These features could well be on your next ringer, and we expect to find out which phone (or phones) will run Qualcomm's latest quad-core processor next week at Mobile World Congress (MWC). 75in 4K HDR TV for under £1.5k: is this Hitachi the bargain of the year?